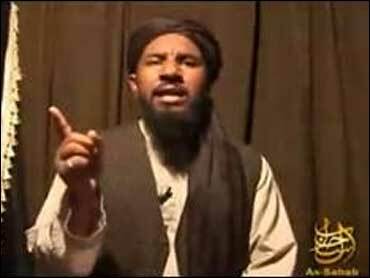 (CBS News) U.S. officials confirm that a drone strike early today in Pakistan targeted al Qaeda leader Abu Yahya al Libi. But officials still can't say whether al Libi was hit in the strike. If confirmed, al Libi's death would be a big blow to the remaining Pakistan-based core of al Qaeda. He is among a handful of senior advisors left from the inner circle of al Qaeda founder Osama bin laden. al Libi has served as a leading propagandist for the group, an operational leader, and most recently as second-in command to new al Qaeda chief Ayman al Zawahiri. Relentless drone strikes have seriously thinned the senior ranks of the al Qaeda network. In the past two years more than a dozen top leaders have been killed by U.S. strikes in Pakistan and Yemen, among them bin Laden and US born cleric Anwar al Awlaki. U.S. officials say the terror group may no longer be capable of a large scale strike against the United States, but caution that it remains a danger. The Associated Press reports that the strike was the seventh drone strike in less than two weeks in Pakistan, which is demanding that the United States end the program. Pakistani intelligence officials told the AP that four missiles were fired at a suspected hideout in North Waziristan, a tribal area near the Afghanistan border, early Monday morning. The suspected militants were reportedly gathered to honor a militant commander who had been killed in an early drone strike at the time of the attack.